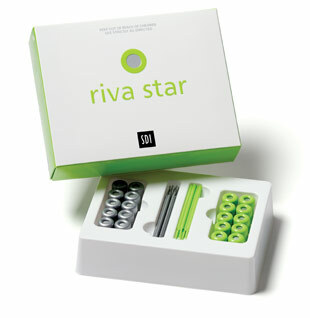 Riva Star is a new generation desensitizer which immediately removes tooth sensitivity. Two years and beyond desensitizing effect. Clinical studies support the immediate effect of Riva Star and its long term effect of over two years. Increasing bond strengths of GICs. Pre-treating tooth surfaces with Riva Star is a great way to enhance bonding of glass ionomers to dentin. Patented procedure. Unlike other silver fluoride systems, Riva Star’s two step patented procedure minimizes the risk of staining. By applying the potassium iodide solution over the silver fluoride solution, a silver iodide precipitate is formed.